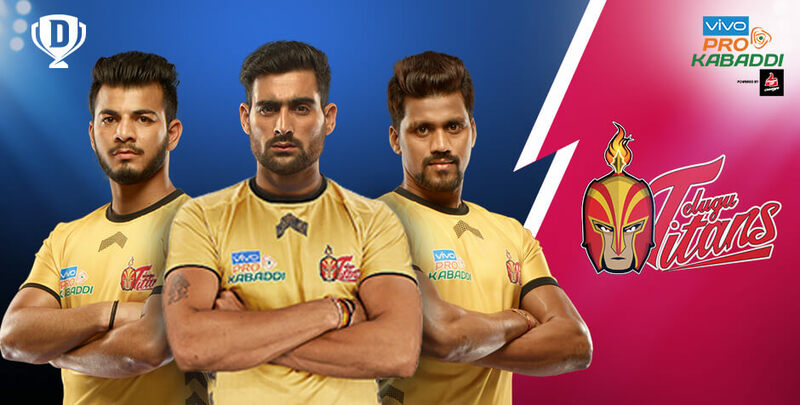 As one of the teams that have been part of the Pro Kabaddi League since its inception, the Telugu Titans Kabaddi team has finished off two seasons reaching the playoffs and has been one of the most competitive teams in the franchise. The Telugu Titans team is jointly owned by Veera Sports constituting Srini Sreeramaneni of Core Green Group, Mahesh Kolli of Greenko Group and Gautham Nedurumalli of NED Group. The five-thousand capacity Gachibowli Indoor Stadium in Hyderabad is the home turf for the team. Whenever the Telugu Titans match schedule brings up a home game, the atmosphere is astonishingly electric. With an affirmation to correct their shortcomings from the past seasons, the owners have strategically put together a brilliant line-up with the Telugu Titans 2018 team. So, here is what you need to know about the incredible ProKabaddi Telugu Titans Kabaddi team for the 2018 season. With 2712 points across five seasons of the league, this total is the second-highest among all teams in ProKabaddi. The Telugu Titans played the semis in season four but finished fourth after losing to U Mumba. Kilaru Jagmohan will be coaching Telugu Titans kabaddi team in season six. Telugu Titans scored the most number of points, most numbers of raid points and also was the team to inflict the most number of all-outs in Season two. This has been their best performance in ProKabaddi till date. Rahul Chaudhari was the best raider in Season 4. He ranked sixth in the list of Most Raid Points in season 5. He was also the fifth highest scorer in the fifth season of Pro Kabaddi. Rahul Chaudhari is also the Most Successful Raider with 666 Raid Points in 79 matches. The Telugu Titans have scored 2712 points through five seasons of the league and are the second-highest scorers among all teams. Vishal Bhardwaj had an outstanding run with the Telugu Titans in Season five, finishing with 71 Tackle Points, the third-most in the league in that season. One of the most popular rivalries in Pro Kabaddi is the one between Telugu Titans and Tamil Thalaivas. In the last Tamil Thalaivas vs Telugu Titans during the 2017 season, the Titans beat the Thalaivas with a 32 – 27 score. The Telugu Titans team matches are a visual treat for Kabaddi lovers as their masterful raiding skills and strong defensive tactics make for an exciting watch. So, follow the Telugu Titans match schedule on Dream11 and stay updated with upcoming matches in Pro Kabaddi league. For fans who like to engage further with their favourite teams, test your sports strategy skills amongst the best with Dream11. Studying team performances, making your picks and developing the right strategies can help you bring in huge winnings for yourself. So, head over to the Dream11 website or access it from anywhere on your smartphone via the Dream11 mobile app. Invite your friends and challenge them to a friendly contest or play with the big guns in the Mega Contests. With so much fun awaiting, you should get started on Dream11 today!